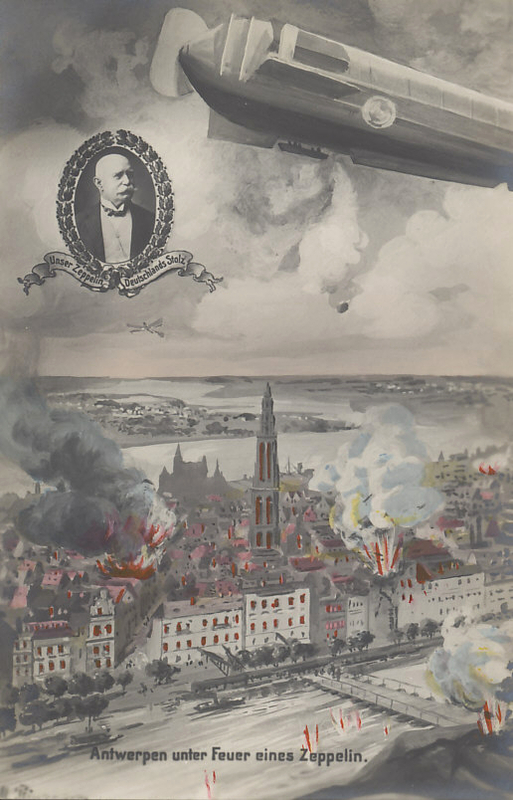 On October 9, 1914 Antwerp was bombed by a Zeppelin. German forces occupied the city the next day. Postcard with an inset portrait of Count von Zeppelin. Antwerpen unter Feuer eines Zeppelin. Antwerp under fire of a Zeppelin. A major port and fortified city on the River Scheldt, encircled by the river and a canal, Antwerp was the last major city held by Belgian forces. Under the leadership of King Albert, the Belgians made a stand at Antwerp after evacuating Brussels, the capital. Belgian forces harassed the Germans from Antwerp, and tied down two German army corps during the Allied Retreat on the Western Front in 1914 and the subsequent German defeat on the Marne. As the British Expeditionary Force was being deployed to France, Winston Churchill, Britain's First Lord of the Admiralty, reinforced the Belgians in Antwerp first, on October 3, with British marines and recently volunteered sailors and shortly after, on October 5, with an army division, a cavalry division, and Churchill himself. The siege of Antwerp began in earnest in the first days of October. Most Belgian and British forces evacuated Antwerp on October 6. Some British troops became lost and crossed into the neutral Netherlands, where they were interred for the rest of the war. 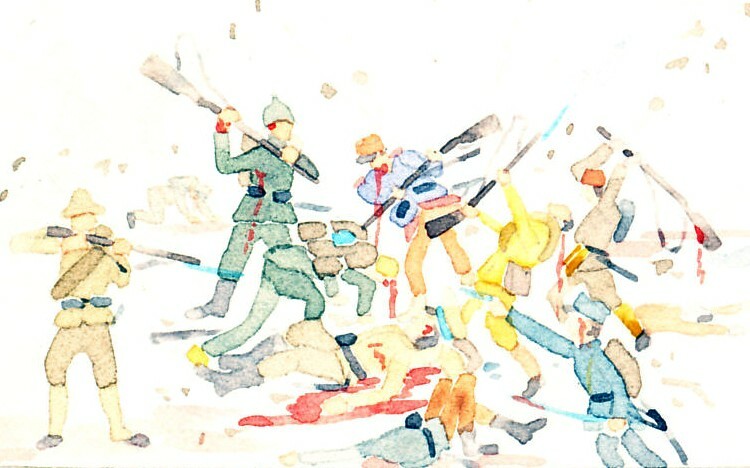 By October 8, it was clear the outer forts and connecting trenches would soon fall. On 9 October, the city was bombed by a Zeppelin. It was occupied by the next day. Retreating along the coast and towards France, the Belgian and British forces helped hold the Channel ports of Nieuport, Dunkirk, and Calais, at the same time the Germans and Franco-British allies were attempting to outflank each other in the Race to the Sea. Wanting to preserve the Belgian Army, the French sent reinforcements. From October 16 to 31 the Belgian Army fought the Battle of the Yser in the lowlands along the river. Struggling to hold their line, the Belgians opened the floodgates of the river, inundating the low-laying countryside. The English poet Rupert Brooke was one among the British forces. 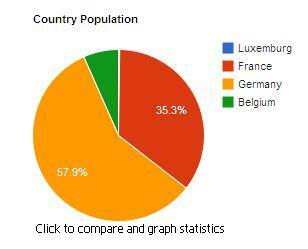 Antwerp is a city in Belgium.